Well, I've come to that point in my life. I'm mad-- and i'm not going to put up with it anymore! even worse, closing their doors- and laying off people by the thousands. the way the world lives, shops and works. In this fast-growing industry called Affiliate Marketing, you can set your own hours... set your won goals..
and earn anywhere from part-time income to an absolute fortune. Is Affiliate Marketing a scam?... A scheme?... 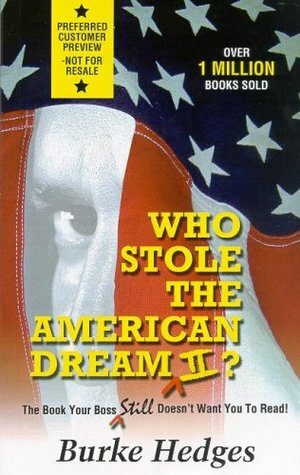 Or the American Dream? You deserve to know the truth. The whole truth. And nothing but the truth! Read this book... and you be the judge! For more than 20 years Burke has championed the crusade for personal and financial independence. Today he travels the world giving talks and seminars on wealth-building principles that have helped thousands of people release their inner entrepreneur. 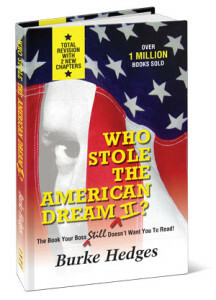 To date, Burke's seven books on personal growth and free enterprise have sold more than three million copies and been translated into 20 languages.